This is a Sponsored post written by me on behalf of Flat World Knowledge for SocialSpark. All opinions are 100% mine. That source is Flat World Knowledge which is the first major provider of college textbooks that are released under the Creative Commons Non-Commercial Share-Alike open license. These textbooks can be read through their free online reader that works in just about any major web browser. Further, they also have very cheaply priced versions of those same textbooks available to be downloaded to devices like a Kindle, Android, iPhone, iPad, Sony Reader, etc. Basically, in keeping with the open source spirit, they have pretty much made these digital textbooks available on just about any major digital device out there. You can also purchase offline versions for a fraction of the cost of traditional textbooks (more on that later). They also have available free versions of accessible formats of the textbooks if you are someone who has qualifying disabilities, such as needing audio or digital braille formats. Even if you don’t, you can purchase such things as the audio mp3 version of the text and even abridged audio versions, if you prefer to listen to the books, rather than read. Even in the cases where you might like to pay for the book, such as if you want to download it to your Kindle or the like, the book is only a fraction of the cost of typical college textbooks. For reference, in 2010 the average college textbook was priced around $170. The ePub or MOBI format of the a textbook from Flat World Knowledge costs around $25. They also offer offline versions for only $35. Aside from the free online version and the very cheap downloadable version advantage, digital “open” textbooks also have the advantage of allowing students to wait until they get to class to see if they need the textbook at all; with some professors often not ever even referencing the required textbook for the course, this can be very handy. Normally, if you wait until the last minute, you risk the college bookstore being sold out and, even if not, generally being ridiculously expensive anyways, much more so than copies that can often be purchased used online. If you then buy it online though, you have to wait for it to ship to you, which makes the whole “last minute” thing not generally a good option. With these digital editions, you can simply go online any time and view the free version in your browser, or buy the downloadable version any time, 24 hours a day. This method of distributing textbooks also is beneficial to the professors writing the books as they can easily upload, edit and generally have a much higher level of textbook customization available in this format over traditional textbook publishing. They also can provide more interactive and media rich textbooks, such as having the ability to embed video and the like into the textbook itself. Under the Creative Commons license, the faculty who use the textbooks in their courses can also revise the textbooks for their particular needs. Basically, Flat World Knowledge, currently with about $27 million in financial backing in the last two years alone, is attempting to break the grip that traditional publishers have in the textbook arena which allows them to set the price at just about any arbitrary level they want. For example, in the last two decades alone, textbook prices have risen at over twice the rate of inflation. Publishers can get away with this because students don’t typically get options in what they are buying and even professors often have surprisingly limited control over what is chosen for their courses or what versions of the textbook they are allowed to use. Further, there is very little competition in textbook publishing with just a handful of companies today that publish textbooks. A couple decades ago, there were numerous textbook publishing companies out there, which helped keep the prices reasonable. It has been since those companies consolidated into just a few that the prices have spiked and continue to increase at an excessively rapid rate. Essentially, publishers are free to set the prices as they will with little of the price having to reflect cost of producing the book, demand, or any traditional way of setting the price. As James Koch of the Economist noted, the textbook industry is a “broken market” that is in dire need of being overhauled. 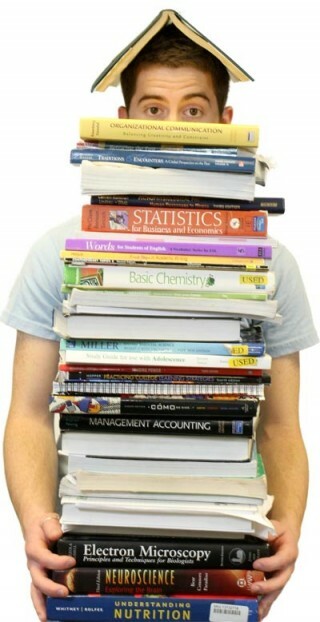 As an example, an average college student spends between $700-$900 on textbooks per year if buying the textbooks new. A college student who buys all their textbooks used spends on average about $600 per year. In contrast, the average college student using the paid version of open source textbooks currently only would spend around $180 per year on textbooks. And then, of course, through companies like Flat World Knowledge, their are also free online versions available, which costs nothing. In all of this, it’s not the author nor the college bookstore that’s inflating the price on textbooks. The average gain on a textbook sale to a college bookstore is only around 4.5%. The author of the textbook themselves only get around 11.7%. The publisher, on the other hand, profits around 64.6% of the sale price, on average. Frequently producing new versions of textbooks on a regular basis, with buyers forced to buy, then provides a steady, predictable income stream for the publishers, despite the fact that new versions of textbooks typically are not very dissimilar from old versions. This is particularly noted in mathematics textbooks which are among the most frequently re-done (often annually or bi-annually) despite the fact that all that is changing is a few problem sets here an there, nothing about what is actually being taught is typically changing at all. Providing textbooks in an open source manor with open source style licensing then not only provides a cheaper way to get textbooks and a more convenient way for authors to get their textbooks published without losing their revenue stream, but it also helps students succeed. Of the courses where open textbooks from Flat World Knowledge have been used (over 1500 and rising rapidly) the course student retention rate rose on average 10%-15%, presumably because of removing the price barrier for materials needed for the course. The professors have also noted a greatly improved grade point average among their students, presumably because a certain percentage of students who would have not purchased the textbook are now actually reading the textbooks. The first “textbooks” were written by the Greeks and were used as education tools as well as to record stories and epic poems. Socrates was noted for having been against textbooks and other written works as he felt using the oral traditions was a better way to pass on information because it required the Greeks to practice meticulous memorization. By switching to passing on stories and knowledge in writing, he felt it would weaken the Greek’s mental capacities. Whether this is true or not, the irony is, everything we know about Socrates is from what his students, such as Plato, wrote down. Around $8.5 billion worth of textbooks are sold annually in the United States. The Texas State Board of Education alone currently spends over $600 million dollars on textbooks per year. Flat World Knowledge currently has textbooks being used by over 900 institutions in over 44 countries with over 150,000 students using their textbooks. The savings to those 150,000 students is currently estimated at around $12 million. Further, Flat World Knowledge are set to have open textbooks available for around 125 of the highest enrolled college courses in the world within the next couple years. They also currently have over 100 authors signed up to write open textbooks for publication on Flat World Knowledge. Textbook publishers typically state that the rate of new editions of textbooks is driven by professor demand. However, a recent study by PIRGs found that 40% of professors state that new editions are either “rarely” or “never” justified and a full 76% stated that the new editions of textbooks justified only “half of the time or less”.